This post is 100% my own ideas and opinions. Affiliate links included. 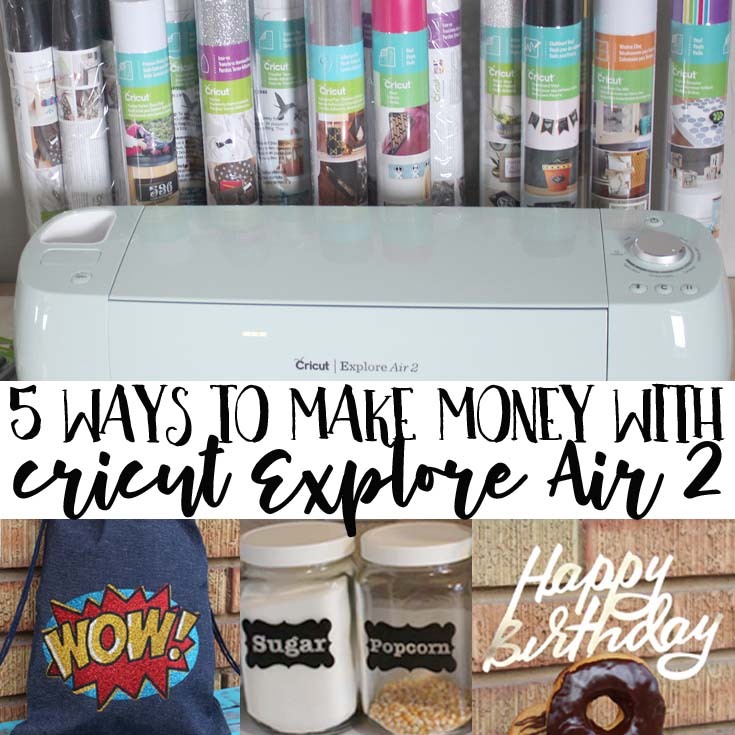 Let's talk about the Cricut Explore Air™ 2 . Here's a post about the machine set up and getting started. Can you justify the price? The Cricut Explore Air™ 2 machine is $299. And then of course you'll need the supplies to go with it. I'd recommend getting a bundle deal...then you'll have enough supplies to get started right away. So it is a little bit of expense up front. There are so many different things you can do with your Cricut. Which in many cases is justification enough for getting a machine. My husband and I always say "the minute you need a tool, it's already paid for itself". So we never hesitate when buying tools. Even if you are buying the machine for personal use and you have no intention of actually starting to sell your work, buying the machine is very economical. Anything and everything from cutting letters and shapes for school projects, making custom gifts, cutting vinyl for home decor or leather jewelry just to wear! There are many benefits that will save you money over time. But I'm still a cheapskate super frugal and want to make sure it can really pay for itself. Like it's paying rent to sit on my desk. I started my vinyl cutting journey about 5 years ago and it only took me a couple months to pay off the amount of money I spent on my first machine. 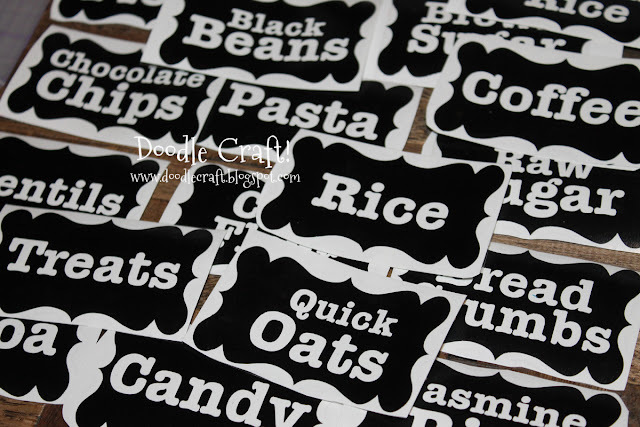 I cut custom canister labels. I didn't have a big blog back then, I set up an Etsy shop. I didn't advertise it at all. They just found me! Imagine if you advertised a little! Post your Etsy listings on Pinterest, that generates a lot of traffic. There are rules about using stock images from Cricut Design Space...you should NOT sell those. You will have to design something uniquely yours. I did black vinyl labels, sold in a set of 6. The buyer could pick the words they wanted on them. I charged $12.00 total (everyone loves "free shipping"). I was able to make more than $400 just selling these casually on Etsy in a few months. Just 35 orders and I had my machine and vinyl paid off. It was just one continuous listing. Imagine if you added other listings. Bumper Stickers are another fun vinyl thing to sell! People love decking their cars out with fandom, geekery and much more silliness. Make up one sticker of each design you have in mind, photograph it and list it for sale. If there is more interest, you can make another! The nicest thing about selling vinyl is the ease in shipping, most things can be shipping in a single envelope. Easy peasy! Here's a great way to do this: use your machine to make projects. make 2. Always make 2 of everything. One to keep or gift and one to sell. This way you can keep projects paying for themselves. Sell custom Cake toppers! They are totally in. They are easy to make and cut with the Cricut and small enough to ship economically! #3: Sell custom work on Social Media! 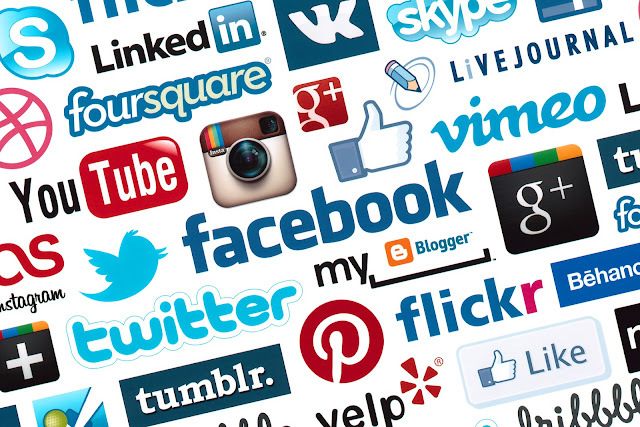 Social Media is a huge way to make income these days. There are lots of hashtags if you are selling things: #forsale #product #selling...just by adding these people can inquire to buy. There's lots of Facebook pages and groups for handmade things for sale...just search and join. Post your items. Post things on your personal page too...just say things like "Just so you know, I can cut custom vinyl for anyone that is interested". I've had lots of people ask if they can buy stuff even when I didn't plan on selling things. This is an additional way to make a little more. Just post a picture of a project you've done, vinyl cut or other things and let people know you would love to sell if anyone is interested. You'll be surprised! Especially around the holiday season. Same idea as selling vinyl, Iron-on is a big deal! It's easy to ship and you just need to include instructions on how to apply it to the desired material. I've been able to sell enough iron-on vinyl cut-outs to pay for my cutting machine and all the supplies used. All these elements combined make quite a difference each month. You can sell finished pieces with iron on vinyl too. Get some inexpensive bulk bags from Oriental Trading and iron on fun designs...just like the bag pictured. Make sets for birthday party favors, summer camps, and more! Everyone loves custom work--like names and monograms. T-shirts for family reunions or trips to amusement parks! Like these Harry Potter Shirts. I did the Heat Transfer vinyl (HTV) for a friend of mine. She paid me for the vinyl and the time I spent doing them. They looked fabulous and got lots of comments on their trip! 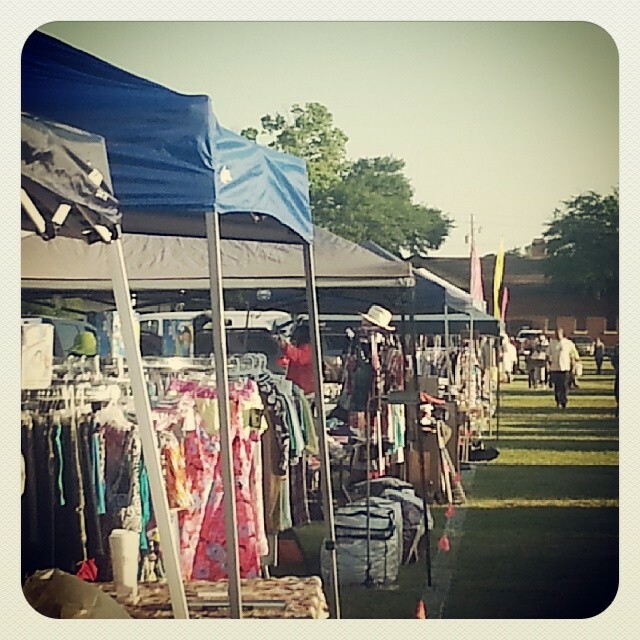 #5: Sell at boutiques, farmer's markets, flea markets! Set up shop! This one is not exactly "from home". This is my LEAST favorite option. When you set up a boutique or booth, you are limited by the amount of people attending and hoping they all want to buy your items. They might! The other issue is all the set up, booth displays, masses of inventory, pricing and the transportation. I live in Utah...and let's be real, this state is crawling with crafty and creative women...so it is very common for the "I could make that" scenario. I have done 2 craft shows. I've always made more money than I spent and enough to feel good about spending the entire day selling. So it is profitable!!! However, it's exhausting...I hate the clean up and taking home loads of inventory. So that's my feelings on that. Maybe you will love the thrill of a show! What do you think? Are there other ways you can think of to make extra money with a Cricut Machine? Have I convinced you that it's worth the investment yet!? I would buy a brand new machine if mine broke today (this is not likely to happen and Cricut support is awesome) . It's that worth it to me. Especially because I know I could pay it off in a matter of months. Imagine if I kept that kind of momentum going year round! 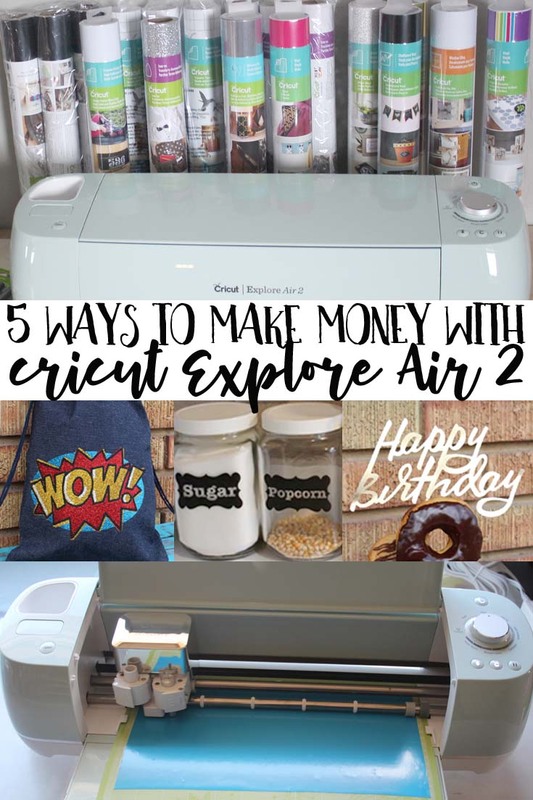 Check it out and get a Cricut Explore Air™ 2 machine today! BUT, what if I'm not crafty!? I have heard this phrase from many people in my life. I tell them "you are only as crafty as your supplies". So, I guess I am promoting hoarding...but of course you aren't going to be crafty if all you have at your house is some crayons and kid coloring books. If you have the supplies to do fun projects, you'll be surprised at how crafty you've instantly become. Get the machine and the started bundle and get crafty today! Here's the thing. You don't have to be crafty to use and love this machine. It basically does all the work for you. You're Welcome. Wonderful ideas! With the vinyl labels, was that adhesive vinyl? Thank you so much for this. I love crafting and always looking for new ideas! I'm new to this and this Is AWESOME!!! Go to the Cricut site itself, Cricut Academy, and sign up for the most free basic course. It helps spark your creativity!